He’s made the hockey world stand up and take notice in 2015-16, a rising star with a bright NHL future ahead. And that’s precisely what Leon Draisaitl wants for aspiring big leaguers in his native land. The contributions from the 20-year-old from Cologne, Germany, has been a boon to an Edmonton Oilers team bent on ending an extended playoff drought (they haven’t qualified for the post-season since 2005-06). Drafted third overall in 2015, the centre sits second in team scoring behind all-star Taylor Hall. 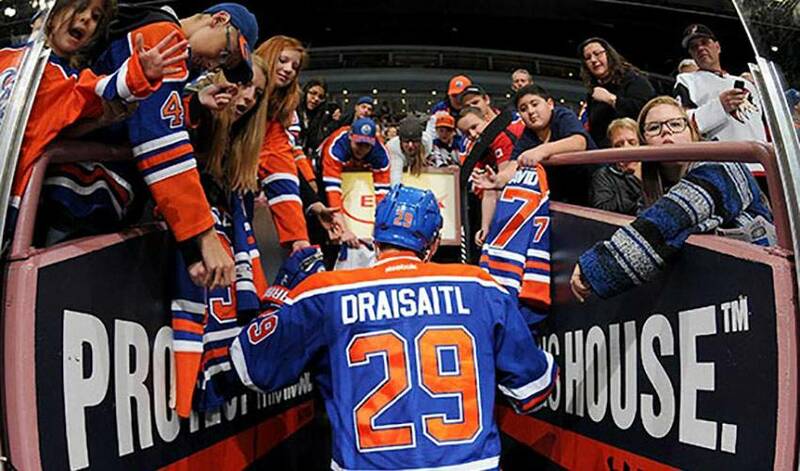 In 42 games this season, Draisaitl has 14 goals and 40 points. He’s also a plus-seven. Three stellar campaigns in the Western Hockey League, including a 38-goal, 105-point season in 2013-14 with Prince Albert, strongly suggests Draisaitl can do plenty. In time, he’d like to add more to his hockey resume, including acting as a mentor to young German players looking to take a shot at joining the NHL ranks. Currently, Draisaitl sits 17th on the NHL games-played list for German players with 78. Christian Ehrhoff and Dennis Seidenberg are the active leaders. It’s certain that Draisaitl already has a legion of German youngsters following No. 29’s every move. After enduring a tough spell on the scoresheet – 13 games without lighting the lamp – Draisaitl has responded in a veteran-like manner. In his past five games, he has four goals and one assist. It’s the type of effort, confidence and character display that young German hockey players will have no doubt taken note of.